JUMP Bikes, the electronic bike sharing company that provides dockless bikes, has been acquired by Uber. 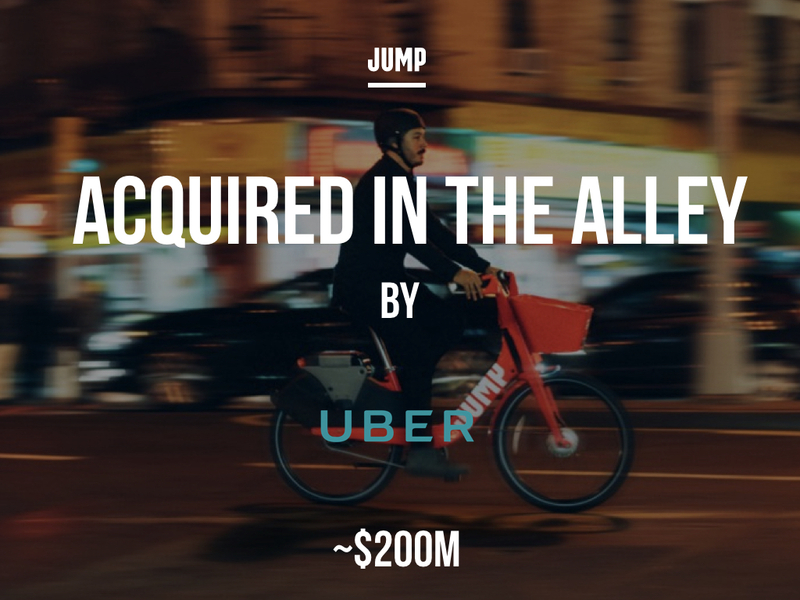 The terms of the acquisition were not disclosed but it has been reported that the transaction valued JUMP Bikes at approximately $200M. “We’re excited to begin our next chapter and to play a significant part in the transition of Uber to a multi-modal platform. Combining JUMP’s track record of product innovation and city partnerships with Uber’s scale, operational excellence, and resources will allow us to make a global impact faster than if we were to pursue our vision alone. At our core, we are still the same team that is passionate about partnering with cities to increase cycling, but joining Uber presents us with the opportunity to realize our dreams faster and at a much larger scale,” remarked Ryan Rzepecki, Founder and CEO of JUMP Bikes in a blog post. Founded by Rzepecki in 2010 as Social Bicycles, JUMP Bikes had raised a total of $13.8M in reported equity funding with its Series A completed earlier this year, which catapulted the company’s growth and latest iteration. Rzepecki’s initial idea for the company was inspired by his Master’s study in Urban Planning. Chinese bike operator, Ofo just raised $866M in the largest global funding of last month to expand to the US. Of offers a similar service to that of JUMP Bikes in a space that is heating up fast.